Sign up to access your free video series which will answer the most frequently asked questions about running a crowdfunding campaign. Here you will find a short video of 3.17 minutes long that explains, in an easy to consume format, the different aspects of crowdfunding. Crowdfunding is great for anyone who has an idea for a product or a service and wishes to get it funded. What are the four main types of Crowdfunding? More than 2000 crowdfunding websites have popped up around the world in the last four years. It is imperative to choose the right type of crowdfunding for your project. This video will give you an idea of the different types of crowdfunding and what will work best for you and your campaign. What are the benefits and drawbacks to Crowdfunding? Before you go crowdfunding it will be useful to know what you will be getting yourself into if you decide to run a campaign. This short 4.2 minute video explains the many benefits of running a crowdfunding campaign. The potential downsides are also discussed so that you can prepare yourself adequately in reaching your target. How much money can I raise through Crowdfunding? 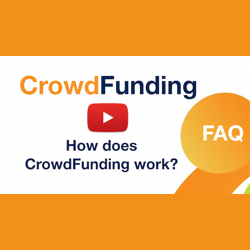 The amount of money you can raise via crowdfunding depends on quite a number of factors which are explained in this short 1.48 minute video. Depending on the type of crowdfunding you choose, suggestions are given here as to what you can expect to raise. What target should I set for my Crowdfunding campaign? Setting a target is probably the most difficult thing you are going to be asked to do. There is no exact formula you can use to work out the right amount to set for your campaign. There is no point in setting a target that you cannot reach. This short video will help with some pointers for you to consider. How long should my crowdfunding campaign last for? Normally your rewards based crowdfunding campaign lasts for 30 days. In some situations there is a case to have it for a shorter or even for a longer period of time. In most cases the maximum and minimum duration will be determined by the crowdfunding platform you choose to launch your campaign on. 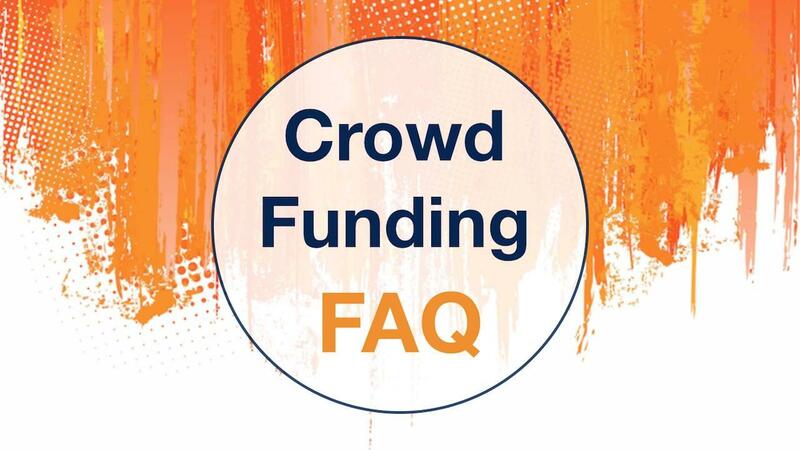 How much time do I need to run a crowdfunding campaign? This video is probably one of the more important ones for you to watch. You need to be aware that launching and managing a crowdfunding campaign is not a walk in the park. The more preparation you put in before you launch will always lead to better results. What is all or nothing vs flexible crowdfunding? The choice between these two types of funding targets can make or break your crowdfunding campaign. If you only get a portion of the funding they will worry if you will still be able to deliver on your rewards. This short video explains the difference between the two types of funding goals. The real fear of losing control over your intellectual property often puts people off doing a crowdfunding campaign. There are ways to protect your opportunity from being stolen by someone else. This short video explains the various options you have at your disposal. What rewards should I choose for my supporters? Your potential backers have visited your campaign page, they have watched your video, read your story, looked at your images, seen your target amount and are finally looking through your reward offers. Deciding on what rewards to offer your supporters is crucial for your campaign success. Who will give money to my crowdfunding campaign? 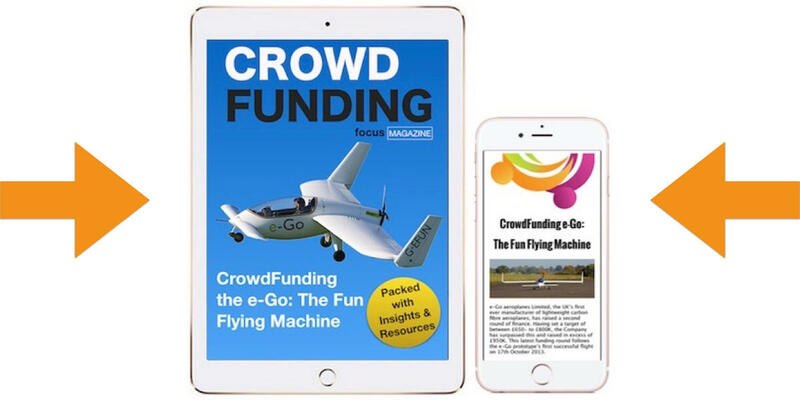 You cannot go crowdfunding without a crowd. You will be surprised how many people do. It is important to know where the money will come from for your crowdfunding campaign. This short video looks at the make up of your crowd and shows you where the money typically comes from. Share these videos with your team members to get them up to speed.